The profession of Chiropractic, practiced by over 77,000 licensed doctors in the US alone, is a profession that focuses on a patient’s overall health and well-being. The chiropractor accomplishes this by taking a complete health history, examining and providing treatment of the patient. Understanding the chief complaints and their relationship to the functioning of the joints of the spine and body is essential to care. 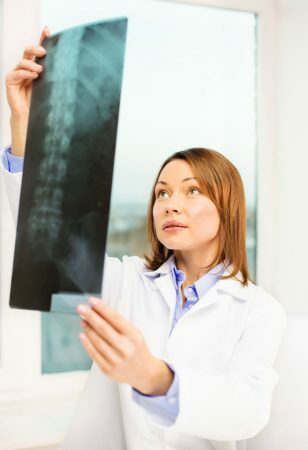 After the initial history and examination additional testing, like x-rays or MRIs, may be ordered to help establish a diagnosis and assure a proper care plan for each patient. Care normally includes manipulation as well as some forms of exercise, therapy, diet modifications and lifestyle management. The Doctor of Chiropractic (DC) is the most trained of all health professions in how to help malfunctioning joints, especially of the spinal column, to move more freely. They do this through the art of spinal adjusting, also known as spinal manipulation. This natural healing approach is primarily performed by hand or sometimes with an adjusting instrument. The education of a chiropractor is extensive and similar to medical doctors with a major focus on joint biomechanics, orthopedics and neurology. This education prepares the doctors to diagnose a patient’s condition and to provide treatment when appropriate. The methods employed by chiropractors are extremely safe and research has supported this fact. Patients of all ages seek the advice and care from Doctors of Chiropractic across the country. From infants to the elderly relief and healing can be achieved through Chiropractic care. Research continues to documents that manipulation is beneficial, safe and non-addictive. It is estimated that over 10% of the US population visited a Chiropractor last year. Studies confirm that patients like the care that they received by a chiropractor over other providers; and 95% rated it as effective treatment for their conditions. Like other physical medicine types of care, treatment usually requires multiple visits to the doctor. This is normal and expected as the body does take time to heal and requires support during his process. When choosing a Chiropractor choose a New York State Chiropractic Association (NYSCA) member. The NYSCA has been “promoting and pursuing excellence in all aspects of chiropractic practice…AND establishing chiropractic care as the healthcare service of choice for people in the pursuit of wellness and the optimization of health.” Thank you for visiting our site today. ©2019 NYSCA District 7. All rights reserved.